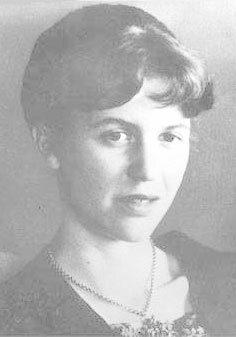 Although Sylvia Plath's life was brief in conventional terms, her life was rich in experiences. She received accolades in the form of prizes, awards and scholarships. She had literary successes, although none so great as those that were endowed on her post-humously. In 1982 she received the Pulitzer Prize for Poetry for her Collected Poems. Sylvia was many things to many people. She was daughter, sister, student and teacher, wife and mother, and finally a writer. Sylvia touched many people while she lived. In death, she continues to influence people for more than her literary excellence. She was a bright, intelligent and determined young woman with a need to succeed and a burning desire to write. Sylvia had other needs that clashed with her literary ambitions. She dreamed of the comfort of a home of her own where she could belong and be loved for herself. She wanted a good husband and children. In school and outside of it, she was a high achiever never being able to quite reach the very high expectations she set for herself. No one was able to drive Sylvia more than herself. She knew self doubt and depression. Yet to the world she presented a carefree, it's so easy attitude. In reality she worked, pushing herself relentlessly, whether in her studies, her teaching, in her relationships or her writing. Only those nearest to her knew how troubled Sylvia's life was. Sylvia started her life in Jamaica Plain, Massachusetts on October 27, 1932. During her early childhood, Sylvia's father Otto suffered from a lengthy illness. Otto, certain he had cancer, did not seek treatment initially. When he finally did see a doctor, a case of diabetes was diagnosed but by that time his illness was advanced. His end was fraught with suffering which included the amputation of a leg. Reference to the leg is made in "Daddy". Otto died just days past Sylvia's 8th birthday. Sylvia was an excellent student and in 1950 she was accepted into Smith College on a scholarship. She was at the top of her class and should logically have been very happy. That was not the case. She lived in fear that it would be found out that she wasn't the perfectly happy person she tried to project. In 1952 she won the first prize of $500 from Mademoiselle magazine for her short story "Sunday at the Mintons". The following June 1953, Sylvia was a guest editor at the Mademoiselle New York offices, which she later wrote about in The Bell Jar. She came home from New York in a state of exhaustion and depression. She was counting on being accepted into Frank O'Connor's creative writing course at Harvard and when she wasn't, she went into a state of withdrawal. She was distraught, scared inside, unable to sleep or function, but still determined to show the world a brave face. On August 24th, unable to carry on any longer, she attempted suicide. For the next months she was institutionalized at Maclean Hospital and given insulin shock treatments. During her period of hospitalization, Sylvia unknowingly was collecting material for her novel The Bell Jar and short story "Johnny Panic and the Bible of Dreams". In October 1955, Sylvia attended Newnham College at Cambridge University on a Fulbright scholarship. After a series of go nowhere relationships and numerous blind dates, Sylvia met Ted Hughes at a St. Botolph's party on February 25, 1956. She fell madly in love with him and she thought that their love would last forever. They were married on a rainy day in London on June 16th of the same year and honeymooned at Benidorm, Spain. Ted Hughes describes the details of their wedding beautifully in his poem "A Pink Wool Knitted Dress" in Birthday Letters which is a collection of poems that retells poetically his relationship with Sylvia. After the conclusion of her studies at Cambridge in the spring of 1957, Sylvia was asked to teach English at Smith College, where she had taken her undergraduate studies. Sylvia returned to America, bringing her husband with her. Her mother, Aurelia Plath, made them a present of a vacation on Cape Cod. Sylvia was excited at the prospect of teaching English, an obvious favorite subject area. She wasn't long on the faculty when she felt overwhelmed. She chastised herself for presuming that she could teach. The preparatory work was exhausting and she perceived the faculty's coldness to her. She had dreamed of giving marvelous lectures and leisurely writing her book. As was her lot, she must be brilliant and make it look as "easy as pie". She was sick frequently and most unhappy. When the year was over, she did not return. The College was very satisfied with Sylvia's performance, but Sylvia felt she had failed and she refused to go back for another year. Already Sylvia was beginning to have doubts about Ted's love for her. She needed constant reassurance. Sylvia took a less taxing clerical position as a receptionist in the psychiatric clinic of Massachusetts General Hospital in Boston and continued with her writing. In early December of 1958 she began to secretly see Ruth Beuscher, her therapist from McLean, where she had been hospitalized after her earlier suicide attempt in the summer of 1953. She also attended an evening poetry class which was given by Robert Lowell. In December 1959 Sylvia and Ted returned to England. Sylvia was pregnant and due to give birth in the spring of 1960. On April 1st, Frieda Rebecca was born. During her pregnancy, on February 10th, Sylvia signed a contract with William Heinemann Ltd. to publish The Colossus which was to come out in October, 1960. Outwardly Sylvia showed amazing energy. She scoured and scrubbed their London flat, wanting a pretty home for herself, her husband and their yet to be born baby. Inwardly she felt exhausted and barely able to carry on, but unwilling to let the world know and her circumstances pressed in on her. She wanted everything, and the writing was her outlet and her curse. It was both her salvation and her undoing. The following February, 1961 a miscarriage left Sylvia feeling melancholy. She wrote of it in a poem "Parliament Hill Fields". In August 1961 the Hughes family moved to a Devon farm and Sylvia was isolated. Ted had become more removed from her. A son Nicholas Farrar was born on January 17th, 1962. In July, Sylvia discovered Ted's affair with Assia Wevill. Sylvia and Ted separated in September. In the following month Sylvia wrote at least 26 of the Ariel poems. In December, 1962, Sylvia took the children with her to London and moved into an apartment at 23 Fitzroy Road, which was the former home of poet William Butler Yeats. The Bell Jar was published under the pseudonym of Victoria Lucas in January 1963. On February 11, 1963 Sylvia gave up her life.